I was thinking about what type of places people really enjoy knowing they could count on when it comes to self-care. Well, there's not doubt that manicure and pedicures are certainly a popular way to treat ourselves to something that goes into the self care category. Getting manicures and pedicures is a great thing to do for ourselves and is a fun way to spend time with our friends and loved ones too. But if you're new in Rocklin or you haven't nailed a favorite place (yes, I really said that), how do you find what's considered the best place? Word of mouth, right? So, in helping you decide your new favorite nail salon, I decided to do some research into what the buzz around town is on nail salons. And the number favorite salon in Rocklin is…I can't say because there are three that are VERY popular. So the good news is that you get to choose which of the three is going to be most convenient for you to try. Here's what you need to know to make that choice. In researching (but of course I did) the factors considered most important to clients when using a nail salon, I didn't come away with any surprises. The first deciding factor named is cleanliness and sanitizing practices. The second is quality and professionalism related to the service and third is overall ambiance of salon. Now don't get me wrong, cost of service is listed but not before addressing the things that make the client feel safe and pampered. So with these factors in mind, read on to see how my top three picks for Rocklin measure up according to word of mouth by customers (a.k.a. YELP). The first thing I noticed is that there were tons (125 out of 166 reviews) of five-star reviews for Sun Nails! Of all the nail salons in Rocklin, it had the most reviews which typically means that clients were impacted enough by the experience to want to tell others about it. The second thing I noticed was that clients mentioned they had moved from a city that caters to affluent clients and found Sun Nails to be comparable to what that level of service. Along those same lines, I noticed that several clients traveled from out of town just to have their nails done at Sun Nails! If you're like me, I really like using shops and services in my own community so for someone to travel up to an hour (yes, I read an hour) to use a salon, that speaks volumes. Anyone who uses a nail salon knows that there are many choices in most towns and cities in California. Although there were several favorable reviews mentioning more than one technician, Keven (the salon owner) received big shout outs for his professionalism, friendliness and technical skills. The salon ambiance included favorable reviews about air quality being excellent and of course, sanitary practices and cleanliness were given top marks. 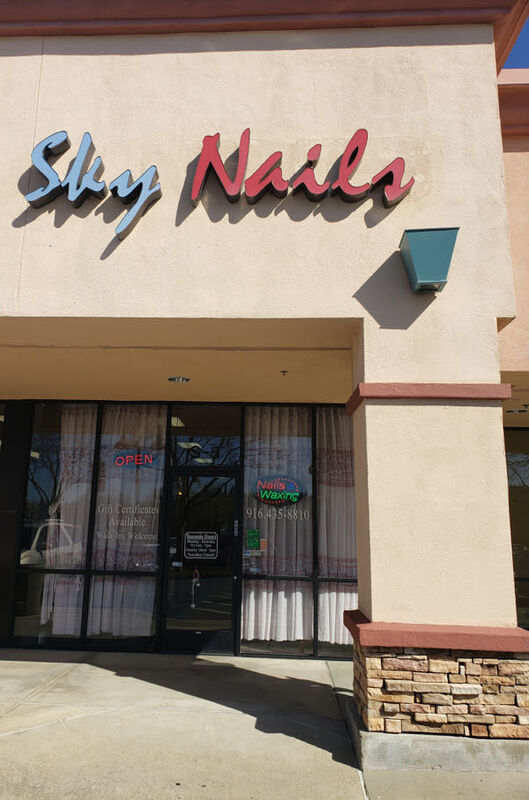 From Sun Nails to Sky Nails, things keep looking great for nail salon choices in our lovely Rocklin. 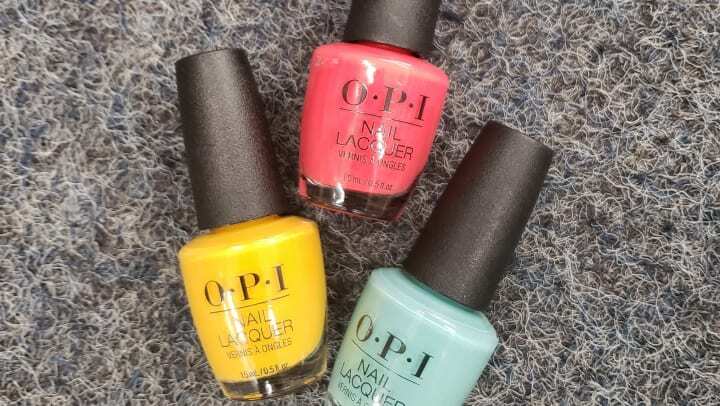 There's nothing like having choices so it appears as if, in the nail salon department, we have some heavy competition for "the best of the best". The same great things said of Sun Salon are said of Sky Nails. The owner, Kelsey, is mentioned many times and given five stars for her friendliness, technical knowledge and professionalism. Like Sun Nails, that seems to be true for her nail technicians as well. Many of the reviews advised potential clients to make an appointment because Sky Salon is always busy (a good sign). Many clients also mentioned how relaxing and quiet the salon is even when very busy. If we're going to look at the whole picture, we have to say that the ultimate in pampering at a nail salon happens with pedicures. Now that spring is here, it's time to think flip flops and pedis, right? Now to be as clear as a top coat (get it?) Sky Nails and Sun Nails are both excellent in the manicure and pedicure department! But I was curious about finding a place that had a foot hold in the pedicure department and came across Organic Nails. While it didn't have the same number of reviews as Sky Nails and Sun Nails, it's only been in business a year. When I filed away at the numbers, I saw that its 33 reviews were proportionately as excellent as the other two salons because Organic Nails has only been in business a year!!! I learned that Organic Nails specializes on providing an amazing pedicure complete with all organic oils. Of course, the manicure reviews were excellent as well. As you can see from what I learned regarding Sky Nails, Sun Nails and Organic Nails, they're outstanding in what they do. Here's what the numbers said. If you look at the number of years these three salons have been in business, all three have over 90 percent of their reviews being 5 and 4 stars. That's outstanding! No matter which one you choose to make your new favorite nail salon, you won't go wrong. Looking at what others say about these salons helped me decide which salons to try for myself and I look forward to visiting each salon for a wonderfully pampering experience. Get Your Moving Crew Manicures and Pedicures! Speaking of pampering, we know that moving day can be really hard on the hands and feet so why not treat yourself and your moving crew to an afternoon of manicures and pedicures? As you read above, Rocklin has great choices in salons. As your neighborhood self storage facility, Stanford Ranch Self Storage is Rocklin's newest self storage facility. We look forward to exceeding your self storage expectations and we're very excited to serve our community. We'd love to hear what you're excited about sharing so we can keep spreading the world about our great community of Rocklin.